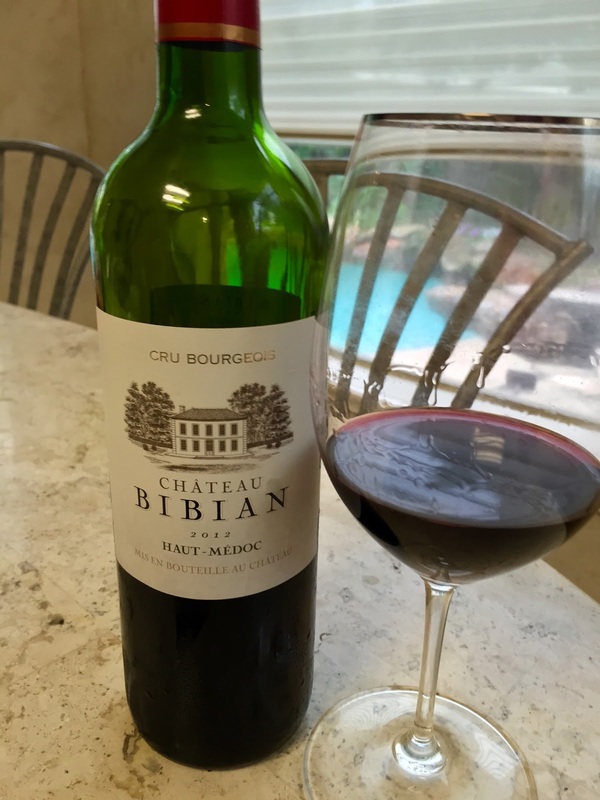 The beautiful spring weather we enjoyed earlier this week in Houston prompted my decision to open this sample bottle of Chateau Bibian Haut-Medoc Cru Bourgeois 2012 and fire up the grill for some steaks. My husband had arrived home somewhat early (for him) and he was assisting me in setting up for dinner. I poured us each a glass of wine while we waited for the grill to heat. 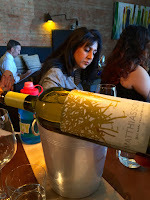 I was standing at my notebook starting to scribble down my initial positive impressions about the wine when I heard him say, "wow, what is this? This is good." I looked up in time to see him take another big gulp from his glass. "It's Cru Bourgeois from the Haut-Medoc", I replied, all the while knowing this is relatively meaningless to him. We have a deal that I don't have to know too much about how my car operates and he doesn't have to retain too much wine knowledge. He continued to look at me with a semi-blank expression so I expounded, "Bordeaux, left-bank, not the fancy places." That is just the kind of fine wine education I occasionally provide to my loved ones. "Ahh", he said," so, it's...?" To which I replied, "A typical Merlot-based Bordeaux blend." He nodded his head, he knew what that meant. 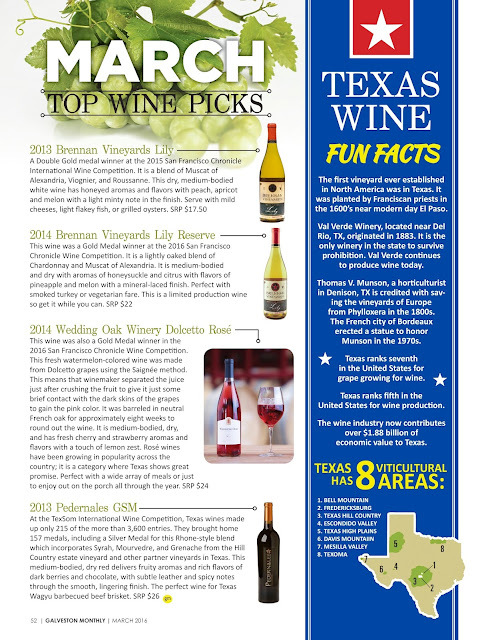 I'm running a variety of interesting fun facts through my mind that I'm considering sharing with him next about the winery's history (originally created in 1857), the vineyard location in Listrac, the 2012 vintage, the Cru Bourgeois label and what it means when my husband interrupted my thoughts. He had been watching my mental wheels turn, "Umm", he said, "you had me at Merlot." He smiled and walked out the door to cook our steaks. I knew that was true, Merlot had been our first red wine love. It was the go-to, the no-thought choice of the late 80's and early 90's. Since that time, we've grown to love many others but we also never got "Sideways" with our first love. The 2012 Chateau Bibian is a blend of 60% Merlot, 25% Cabernet Sauvignon, 10% Petit Verdot and 5% Cabernet Franc sourced from chalky-clay and pyrenean gravel soils. While wines from the Listrac area have been described as "austere", this wine was more giving with fresh aromas of ripe dark cherries and blackberries with just a trace of vanilla, the wine was dry, medium-bodied with smooth ripe tannins and juicy flavors that matched the aromas; easy drinking and deliciously good. This wine is a highly recommended anytime red and reasonably priced at $21. San Francisco Chronicle "2014 Winemaker of the Year", Steve Matthiasson, was in Houston to deliver a viticulture lesson to local wine professionals. He recently changed the name of his lecture to "The Farmer's Role in Terroir" as he wanted to begin the discussion after "what is". 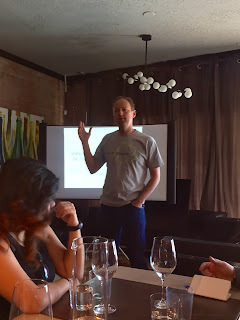 Steve explains that terroir is what it is, in so far as it has a certain type of soil, a certain amount of sunlight and a certain amount of water and nutrients that are naturally available to the grapes that are grown there. 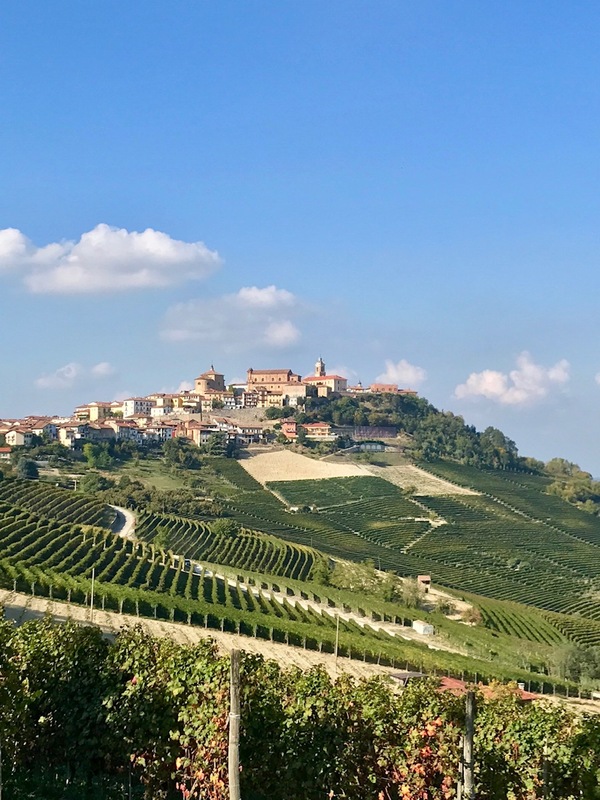 He feels that the farmer's role is to help manage the crop load by helping the vineyard to control for vine stress in the earliest part of the growing season. His philosophy is simply that you can impact the style of the wine by the way that you grow the grapes. Balance in the glass begins with balancing the viticultural aspects of the vine in the vineyard. The condition of the soil, pruning methods, canopy management, as well as water and hormone availability to the roots during early development must be considered. With grape varieties like Sauvignon Blanc and Cabernet Sauvignon, controlling the development of pyrazines in the grapes is important as well. Pyrazines are the organic compounds responsible for the bell pepper or green bean aromas. Decisions on how a vineyard is pruned is the farmer's first opportunity to get the growing season started right. Pruning to control the number of buds on the vine appears to be the most effective way to control both the intensity of the vegetal aromas as well as eliminating some tannic bitterness and astringency. The number of buds left on the vines should be based on the water available and fertility level of the soil. The way the vine is pruned will help determine how vigorous the growth will be. Bull canes have higher, more vigorous green growth while the balanced canes have a steadier growth leading to better quality fruit. Straight up and down, more evenly spaced shoots allow for more even sunlight and more uniformity in the grapes' ripening. 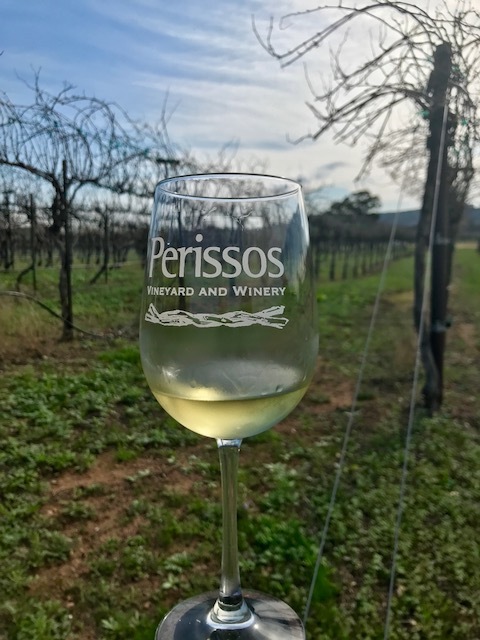 Steve explained that conventional wisdom would argue that getting the 8 tons per acre of Sauvignon Blanc from his home vineyard is too large of a crop to maintain quality. He felt, however, that due to the higher levels of sunlight that the site receives and the higher potassium levels in the soil, a bigger crop would help to naturally maintain the acidity while controlling the potential alcohol level. He feels that too much fruit thinning would have throw off the sugar content of the grapes leaving the balance "out of whack." His objective is for the vine to produce the optimal level of fruit rather than allowing it to waste energy producing grapes that must be cut off and discarded. The canopy management is crucial for the Sauvignon Blanc grapes in this vineyard as the higher temperatures can create bitter flavors by literally cooking the flavor molecules. He wants enough leaf cover to protect the grapes by creating a less direct, more dappled sunlight to encourage a slower, more uniform ripening. 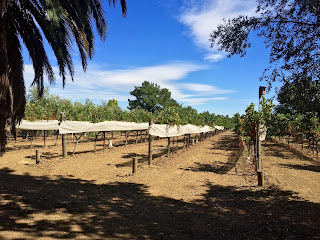 He will also use shade cloths which block 40% of the sun's radiation during particularly hot periods to protect the fruit; I saw this during a visit to their home vineyard last summer and I took this picture then. Read more on that here. 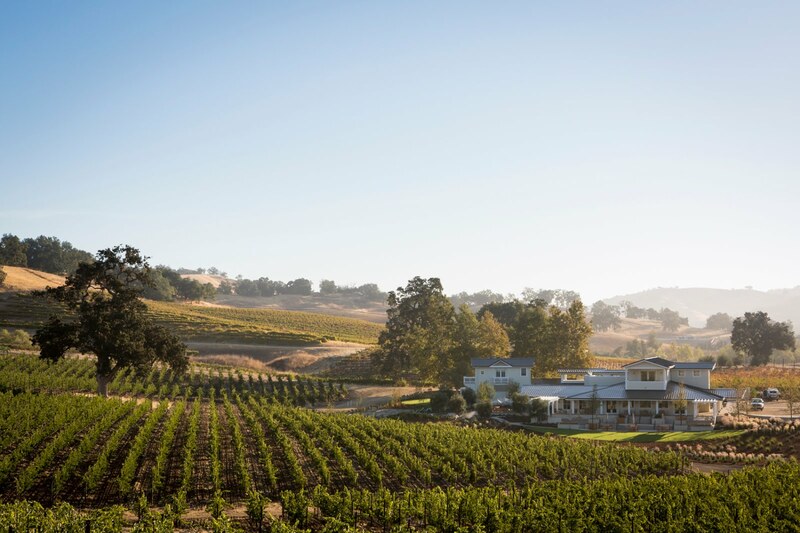 The Matthiasson's began leasing the Linda Vista Chardonnay vineyard across the creek behind their house in 2011. This vineyard was originally planted in the 1980's by Beringer. 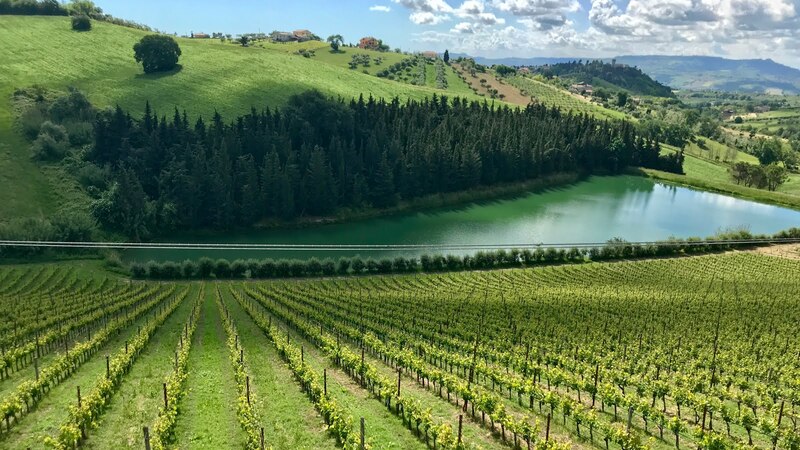 The main concern in this vineyard was managing the biological activity in the soil; it was a tired vineyard that needed to be rebuilt. Planting a legume heavy cover crop invigorated the soil after it was cultivated back into the ground leading to an invigoration of the vines' growth. Potassium levels in the soil are the main reason for both uneven ripening and acid loss in the grapes. 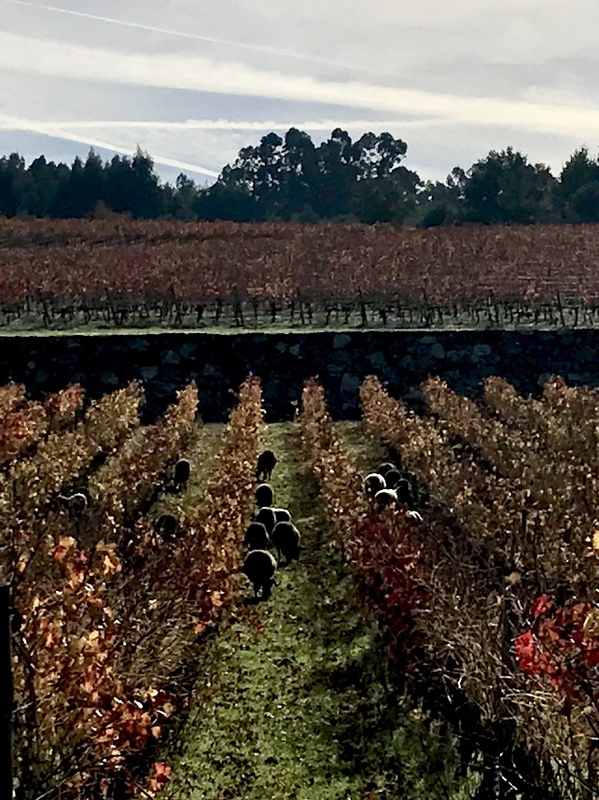 The selection of cover crops by the farmer should be thought of more as a long term strategy for maintaining the vineyard's health by controlling the vine's vigor throughout the growing season. Steve has eight seed blends he chooses from based on a vineyard's individual needs. For Cabernet Sauvignon plantings, the cover crop is the most important consideration for controlling vigor. Planting no-till deep rooted native Californian prairie grasses will lessen the vigor of the vine growth. Steve believes that encouraging biodiversity throughout the vineyard is critical to maintaining a vineyard's health. 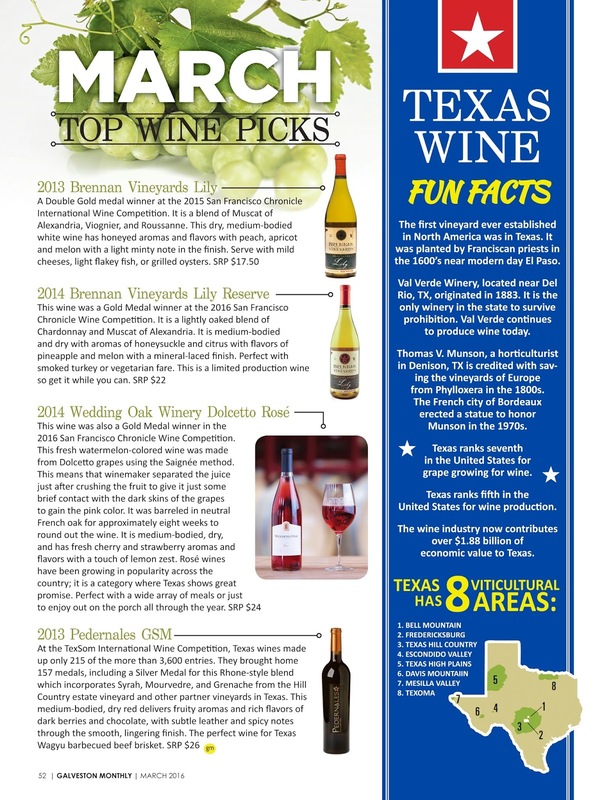 The choice of rootstock has a huge impact on vine growth as well. In Napa Valley, deep rooting varieties handle the droughts and heat spikes much better. This choice alone can help a vine to maintain the grapes' natural acidity while helping to control potential alcohol levels as well. 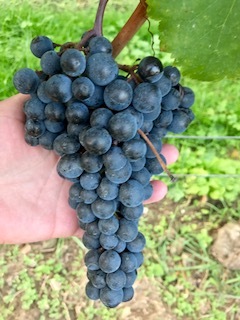 Steve witnessed this in the Red Hen Vineyard where the Merlot produced had surprisingly moderate alcohol with good natural acidity despite the warm climate. He feels that California's minor vintage variations have more to do with early season growth; what happens early on will determine all of the flavor development later in the season. If the vigor or growth rate across the vineyard is regulated by slowing it down or speeding it up as needed, ripening will be more consistent throughout each vineyard block without the need for an extra long hang time. To wrap up the lecture, Steve wanted to share with the group what he called his "fun labor of love thing". 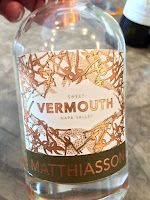 He wanted to make a vermouth style wine for which he had a specific flavor profile that he was hoping to achieve. After extensive research at the UC Davis library, 20 years of thinking about it and, finally, some collaboration with Italian winemaker, Mauro Vergano, he was pleased to offer a taste of his finished product and the group was more than happy to indulge him. He also suggested we buy Vergano Vermouth in the future because of the assistance he had been so pleased to receive. Another exceptional learning experience organized by the Houston Sommelier Association. Look for Steve Matthiasson in the new movie Somm: Into the Bottle, now available on iTunes. 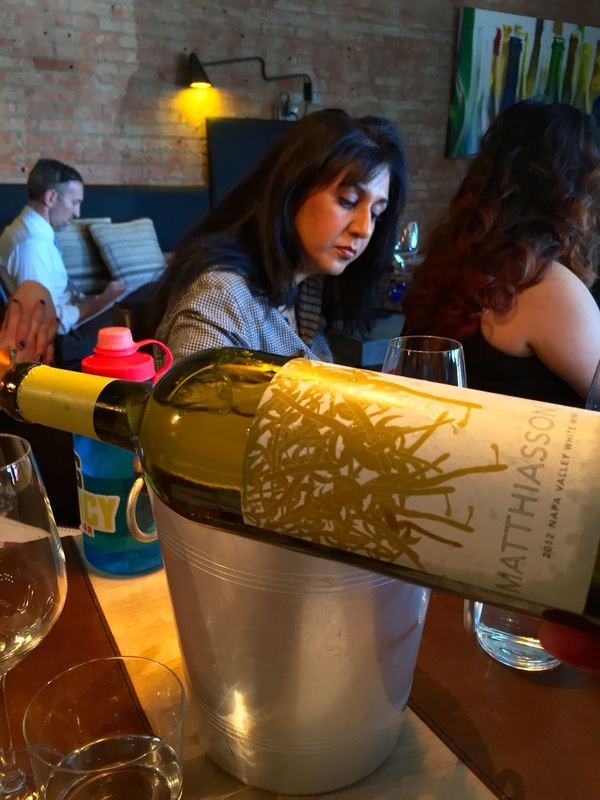 2012 Matthiasson Napa Valley White Wine- Fresh, lime citrus and ripe pineapple, mineral finish. 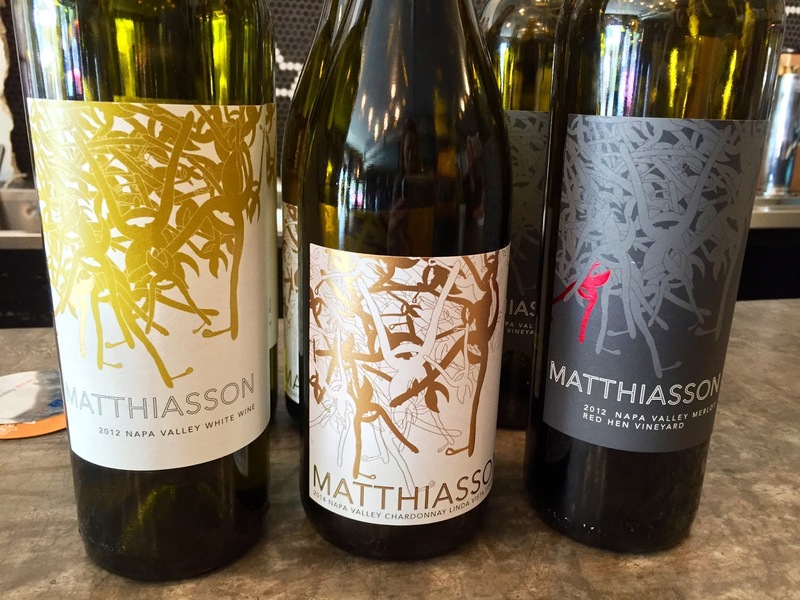 2014 Matthiasson Napa Valley Chardonnay "Linda Vista Vineyard"- Apples, melon, honeyed note, fresh, smooth. 2012 Napa Valley Merlot Red Hen Vineyard- Fresh, luscious, ripe cherry fruitiness with a bit of chocolate and a slight earthiness. 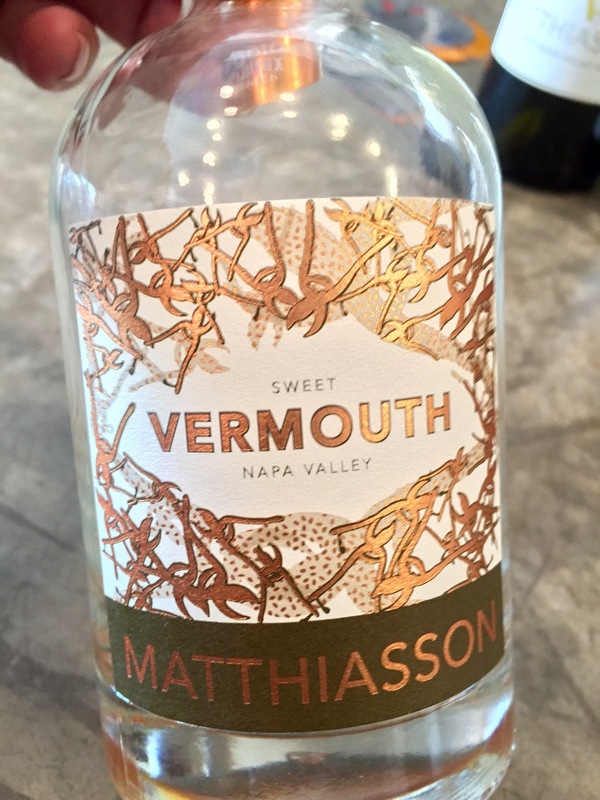 Matthiasson Napa Valley Sweet Vermouth- This was created from a base wine from Flora, a cross between Semillion and Gewurztraminer. It was infused with sour cherry, blood orange zest, cardoon, coriander and wormwood for additional flavor. Complex, sweet, bitter and nutty. 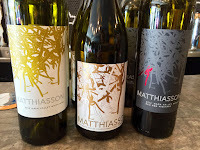 All of these beautifully balanced Matthiasson Wines are highly recommended.